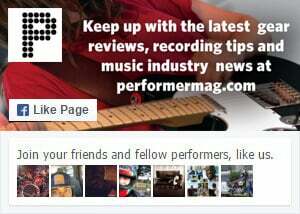 Home / Band Management / Music Promotion / Music Promotion on Facebook – Is It Worth It? Music Promotion on Facebook – Is It Worth It? For brands, Facebook is arguably one of the best advertising platforms available — with the ability to target specific interests, companies can ensure that with the right demographics they can advertise directly to their audiences and hopefully convert their message to a sale. But when you’re promoting your music on Facebook, does it necessarily gain you anything? We often hear bands ask us about promoting their music on Facebook, and how they’ve seen such great results with other bands, some reaching as many as 500,000 views! We don’t believe that one Facebook view = one YouTube view, as they are completely different things; in fact, if we had to nail down a ratio, we’d say that 1,000 Facebook views = one YouTube view. This is because of what actually counts as a view on each platform. With YouTube, if someone has clicked your video, you can be pretty sure that they are watching the video with very little else going on around their screen, you can be reasonably sure that the sound will be enabled and they may even listen to your music while they browse in other windows on their computer. But for Facebook, this level of engagement and attention isn’t what is involved with one singular view; one view can simply be someone scrolling past your video in their feed while it plays. For a company this is okay, maybe they are raising brand awareness or are only just beginning to launch their product and a slight glance at their branding will be useful to them, but for a music video this is useless to you. For a start, the sound isn’t enabled by default on videos for Facebook feeds, which means you have the challenge of persuading your audience to unmute the video. Not only do you have the challenge of getting the user to enable sound on the video, you are battling against the frame of mind of the user — they aren’t (typically) scrolling through their Facebook feed to listen to music, or to discover new music, and even if they are there is a high level of potential distractions, such as Facebook Messenger and the other content on the news feed (including boosted posts and sidebar ads in the desktop version) that your video is sharing the screen with. So, advertising a music video on Facebook probably isn’t a great idea, but that doesn’t mean that you can’t take advantage of the Facebook advertising platform. To promote your music on social media you need to create a content strategy, to engage your audience and get them to like your page. Social media is called ‘social’ for a reason, the more people you are interacting with the more loyal they will be. You need to create a strategy so that when you do launch that music video, your fan base will share it. This can be achieved by creating a content strategy and a theme for your page. You can do this by creating unique videos, or creating content yourself about something that your audience may be interested in. Whether this is done in video format, audio or a blog, putting out content which engages followers and potential followers and creates a returning audience will build the loyalty and fan base which is needed to get the reward of shares and views on your music video. This is where you can use the Facebook advertising platform to push your content and convert the viewers in to likes on your page. You can create content focused around something you are an expert on and educate your audience, or you can entertain people with videos you have created yourself or simply document your journey of becoming a professional musician. It would be a mistake to choose your theme because you think “there is a big audience” – instead we recommend that you be real, be yourself and the right audience will find you. Always be interacting with your audience in all of the content you publish. Be sure to be open to questions, and respond to every single comment whether it is good or bad; you will generate a loyalty and a sense of interactivity from your fans. You are building a community, not just a fan base.